LAW School Test (LSAT) 2019 Exam Dates has been Revised. Law School Admission Test (LSAT) 2019 Online Registration has been Started on 16th October 2018. Law School Admission Test (LSAT) 2019 is designed by the Law School Admission Council (LSAC) and conducted by Pearson VUE in India. All the information is passed on by Pearson VUE through pearsonvueindia.com. It is a half-day standardized test that is administered in countries like- US, New Zealand, Europe, Canada, Asia, America, etc. The test score is valid for admission in Undergraduate and Postgraduate level law courses in more than 85 law schools. The test is beneficial because it serves as a single common test for multiple law colleges. Law School Admission Test (LSAT) 2019 Online Registration has been Started on 16th October 2018 through login. Click Here to Check Registration Details. LSAT 2019 Exam Dates has been Revised. Click Here to Check Exam Dates. Conducting Body Pearson VUE India. The standardized test measures a candidate’s capability to tackle asked from Verbal reasoning and reading skills designed by LSAC. 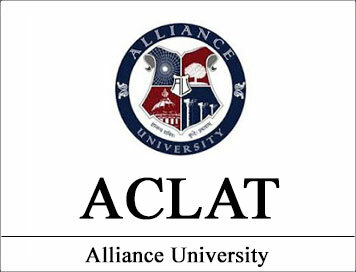 Candidates after passing this test can apply for admission in associated colleges. 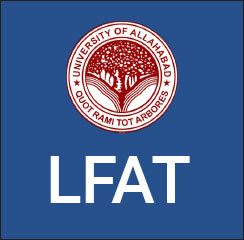 Prestigious colleges such as- OP Jindal University, Rajiv Gandhi School of Intellectual Property Law, K.R.Mangalam University, GITAM University, SRM University, Amity University, ICFAI accept the score of LSAT for granting admissions. It is a pen and paper-based test which has around 92-100 MCQ based questions. Candidates must complete the test in 02 hours and 20 minutes. Online registration can begin in the 01st week of October 2018. Registration fees are- Rs. 3800/– Fees CANNOT be submitted by demand draft. You can get the latest information such as About the exam, Important dates, Associated colleges, Test Pattern, and Scoring and Testing Locations, etc. from here. The LSAT exam is organized in various countries such as- South America, Central America, Mexico, Europe, Africa, etc. You can register for the exam by way of Phone medium or by the Online medium. The LSAT 2019 Online Registration has been Started from 16th October 2018. The LSAT 2019 Registration Last Date is 20th May 2019. Phone medium- call the LSAC on weekdays and get yourself registered. Step-5– Added to cart- select “add to cart” and hit “continue”. Step-6– Check out- the amount you are required to pay will flash. Make the payment. The amount payable will be Rs. 3800/-. It is to be paid in online mode by credit card/ debit card only. The online portal for fee payment will be pearsonvueindia.com. Good news for candidates, Pearson VUE itself provides preparation material for the candidates in online mode and in the pdf file format as well. You should dedicate enough time to attempt all the material available. Do not study or by any other prescribed material than these. There are samples, video lectures for you to refer if there is any confusion. There is also a list of additional resources that you can browse. There is no LSAT 2019 Syllabus as such. The website mentions only the basis why Logical reasoning, Analytical Reasoning, and Reading Comprehension sections are. It actually describes on what basis the candidates are selected. Therefore, it would be best if you go through the official test preps to understand the syllabus. 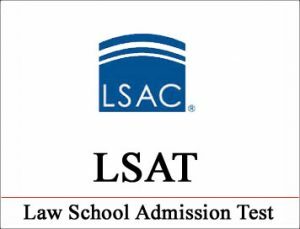 LSAT 2019 Admit Card will be Available on 22nd May to 1st June 2019. The admit card will have your Registration details, Photo, name, address, exam date and time, exam venue etc. LSAT 2019 Answer Key will be Available after the Exam. The LSAT 2019 Result will be Declaring in June 2019. LSAT 2019 results are usually reported within four (4) weeks after the test date and are also uploaded on the candidate’s registration log-in account. The scorecard will be present on the login account for download for up to two months from the date of announcement of results. Please note that scorecard will NOT be sent through e-mail or post. The LSAT 2019 can be conducted in the following locations, please make sure that you have the correct address of the designated center so that you do not miss your paper. Center change request is not entertained after payment. If you have any other queries about LSAT 2019 you can ask us by leaving your comments in the comment box.